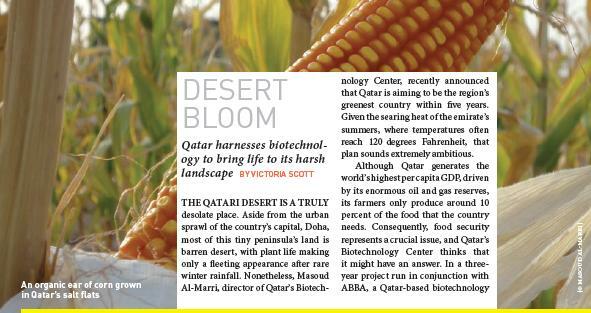 Scientific American Worldview 2012 has just been published, and in it I’ve written a short article about Qatar’s Biotechnology Center, and its exciting plans to turn the desert green. Click here to read the article. 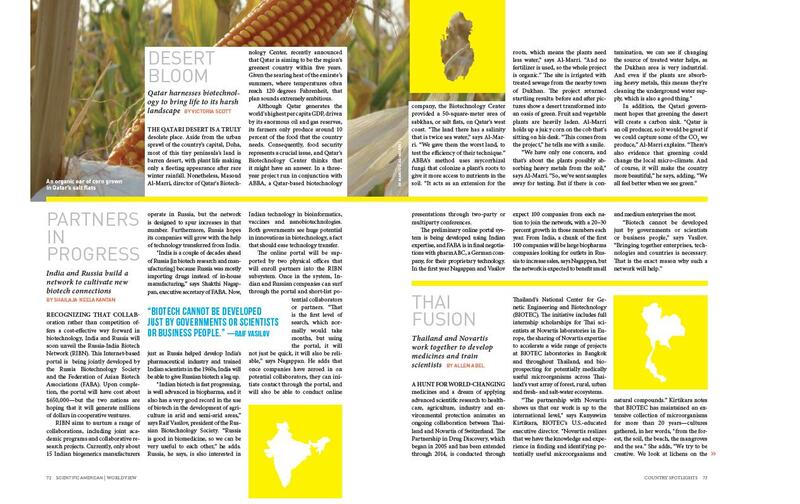 You can download the whole publication here.